Equipped with the right graphics, windows can turn front doors into centerpieces, elevate the privacy and intimacy of office rooms, and even transform the culture of your entire building (don’t take our word for it, just ask this Volkswagen dealership manager). Whether you have one simple storefront window, or your office workspace resembles a glass house, you can send impactful messages to your customers, clients and workers with window graphics. When you partner with proven experts, like SpeedPro Imaging, the nation’s leading large format graphics franchise, you can turn any window into a permanent billboard with window graphics – making your storefront a living, breathing marketing asset for your business. 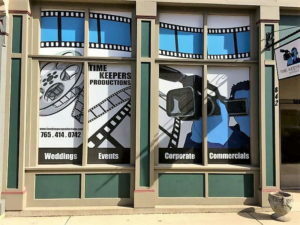 Let’s examine a few reasons why window graphics are trending up…and helping businesses across all industries reach/influence/keep new customers and talented employees. The ability to attract and retain new customers is a science. A smart and effective use of window graphics will take some of the mystery out of it. To move people, you must tug at their senses. One study found it takes a tenth of a second to make a first impression when it comes to meeting people. In a blink of an eye, people have already made up their mind. That’s why it’s key you get noticed, but in a memorable way. Your message should be succinct and to the point. An effective message shared via window graphics on your front door/storefront is inviting, not annoying. While your service may speak for itself, it never hurts to have cheerleaders on hand. Window graphics will help you and your team re-emphasize the world class products and services you consistently deliver to customers. Also – are you active on social media? 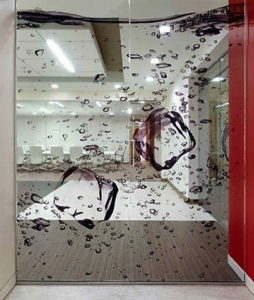 If so, a savvy trick up your sleeve could be a window graphic that can be seen from the inside looking out highlighting your social media handles to clients waiting in your lobby. In many instances, it’s not the message itself, but how you present it. 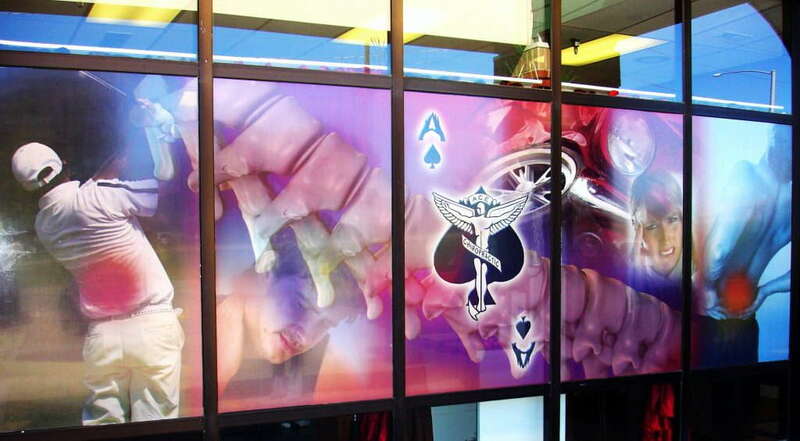 Window graphics give you an opportunity to present your brand with extra pizzazz! A bold statement with vivid colors is sure to stand out. Showing your clients (and employees) you’re willing to go the extra step to impress them, could pay dividends down the road. You can use your window space to tell a short story with the ending to be concluded only if the passerby decides to step inside. Invest in your restaurant with bold and vivid images of your best menu options strategically displayed on your outside windows. Your new street-level grocery store is a few months from opening. Don’t put up the old-school brown paper to shield construction – use window graphics to hide the construction while sending a message. Use life-like graphics to give passersby a glimpse of what is coming and the hashtag they can use to join in the anticipation! The latest high-tech device is weeks away from its big debut. Let early adopters know you’re going to be selling it and use directional signage on your windows to let them know where the line begins. Don’t let your interior glass space go to waste. 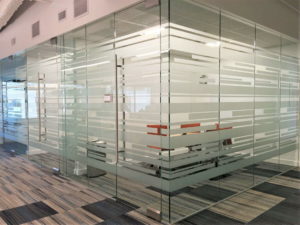 Use frosted graphics to give your conference room a hint of privacy. Use window graphics to not only add a little bit of shade from the intense sunlight, but to remind employees of the upcoming enrollment period. 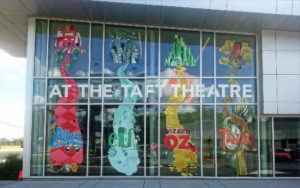 Window graphics can be used to communicate company strategies, sales pitches and inform students at the university how to get in contact with campus administration. Your storefront and interior windows present endless opportunities for maximizing your space and marketing your business through window graphics. And at SpeedPro Imaging, we have the know-how and insight to use those graphics to the best of your advantage. For more information about SpeedPro Imaging, the nation’s leading large format graphics franchise, and to contact your local SpeedPro to get started, please visit speedpro.com/locations.